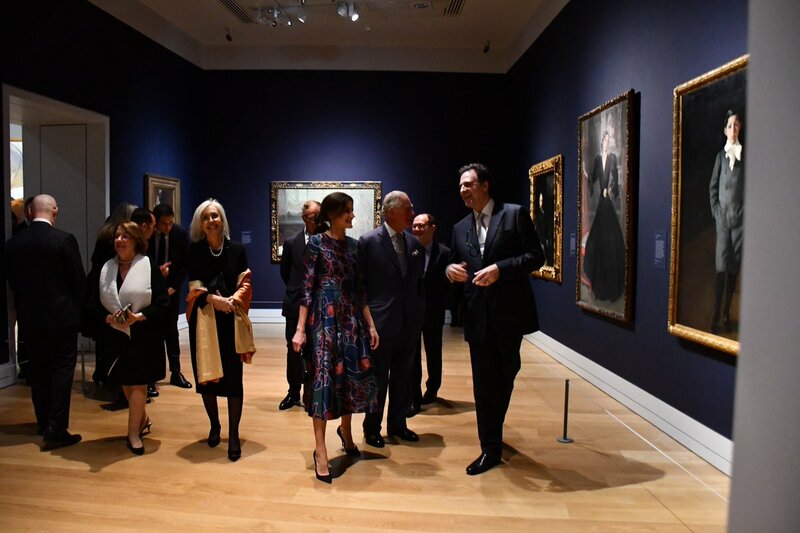 Today, Queen Letizia of Spain was back in London after 2 years of the State visit in July 2017. 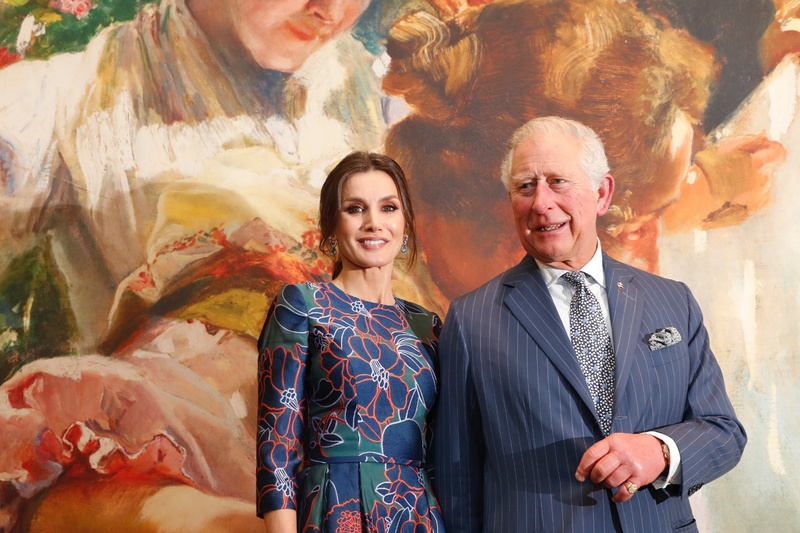 She travelled to London to inaugurate an exhibition the “Sorolla: Spanish Master of Light” at National Gallery with Prince Charles of Wales. 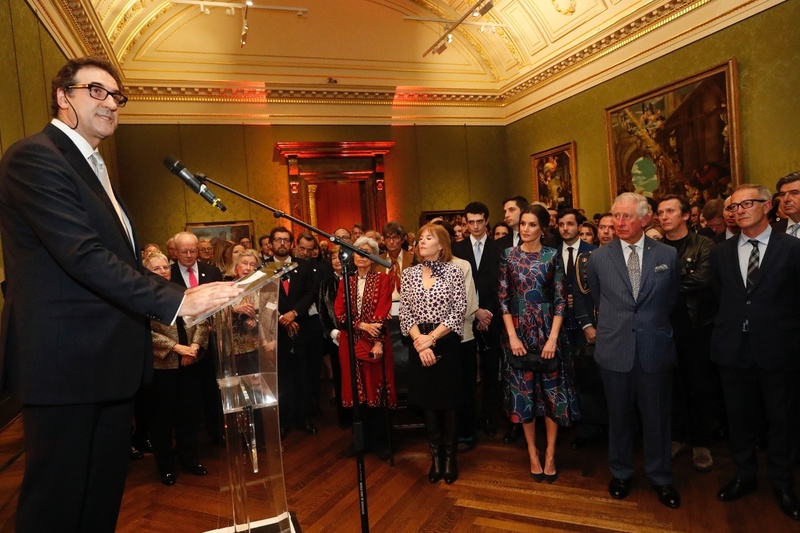 The exhibiton is organised by the National Gallery and the National Gallery of Ireland and Iberia, with the additional sponsorship of the Center for Hispanic Europe Studies and Hannah Rothschild CBE, in collaboration with Acción Cultural Spain, Museo Sorolla, Madrid and curated by Christopher Riopelle, The Neil Westreich Curator of Post 1800 Paintings at the National Gallery, London. 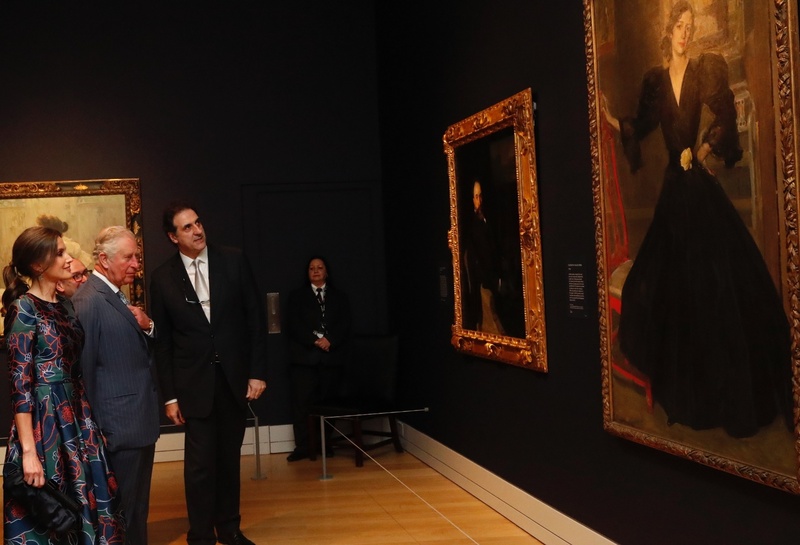 Prince Charles of Wales is the patron of National Gallery. Queen was accompanied by the Minister of Culture and Sports for the visit. 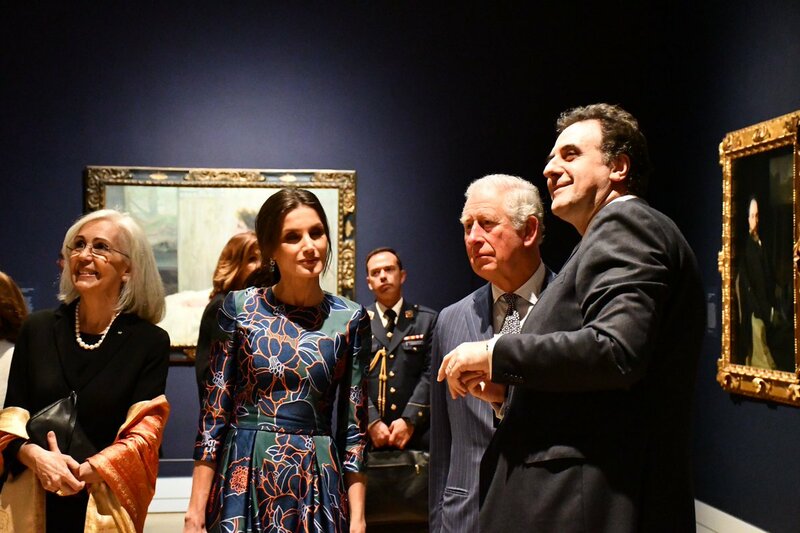 Prince Charles welcomed the Queen at the National Gallery. The last time Queen met British heir in July 2017 during the State Visit. 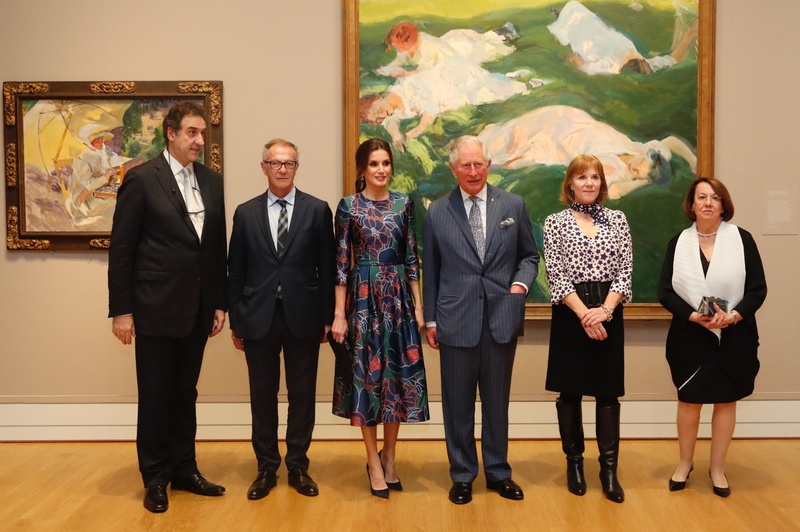 It is the first major exhibition in the UK for over a century of the artist known as Spain’s Impressionist, Joaquín Sorolla y Bastida (1863–1923) The exhibtion will be open to the public at the National Gallery in spring 2019 from March 18 to July 07. 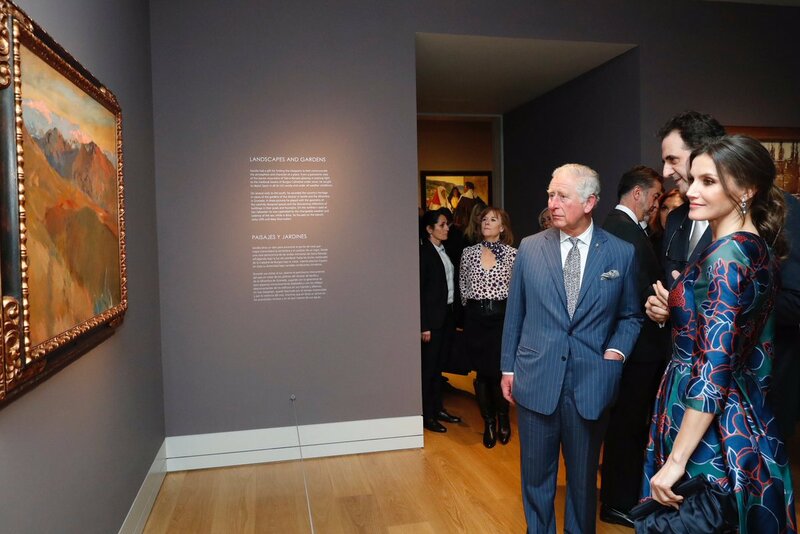 ‘Sorolla: Spanish Master of Light’ exhibition includes portraits, and genre scenes of Spanish life, as well as the landscapes, garden views, and beach scenes for which he is most renowned. The exhibtion will be held in 6 rooms of the wing. 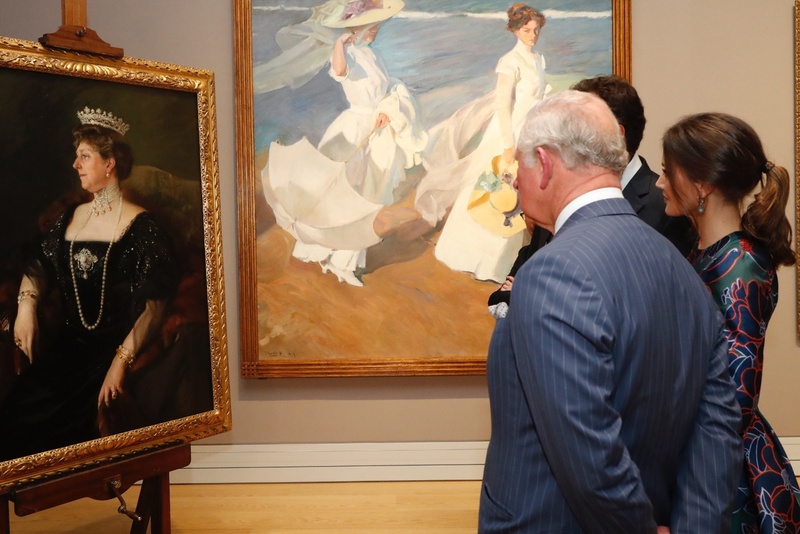 The first room includes portraits of Sorolla’s wife Clotilde as well as his daughters María and Elena, and son Joaquín, who became the Museo Sorolla’s first director. Sorolla married Clotilde, the daughter of his first major patron, in 1888. She remained his favourite model, barely appearing to age over the decades. The second room focuses on the 1890s, when Spain witnessed a period of social unrest as well as the final collapse of its overseas empire. 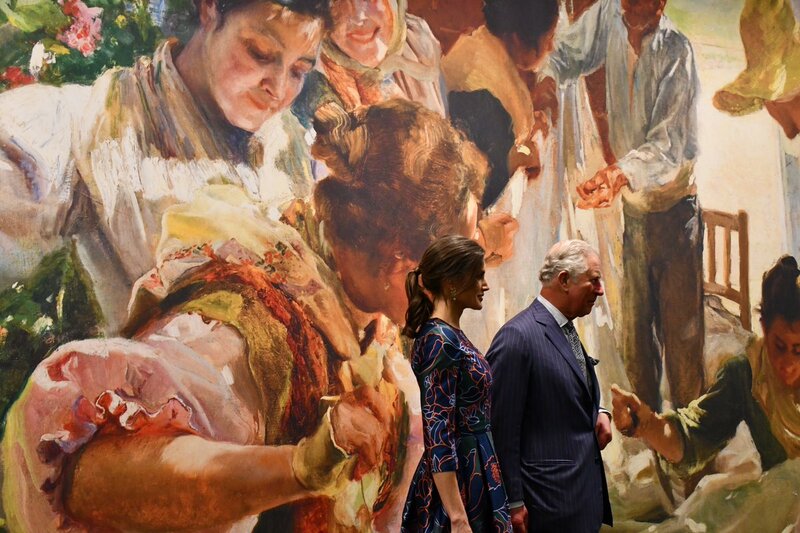 During this time Sorolla launched his career with a series of monumental canvases concerned with the realities and hardships of Spanish life. 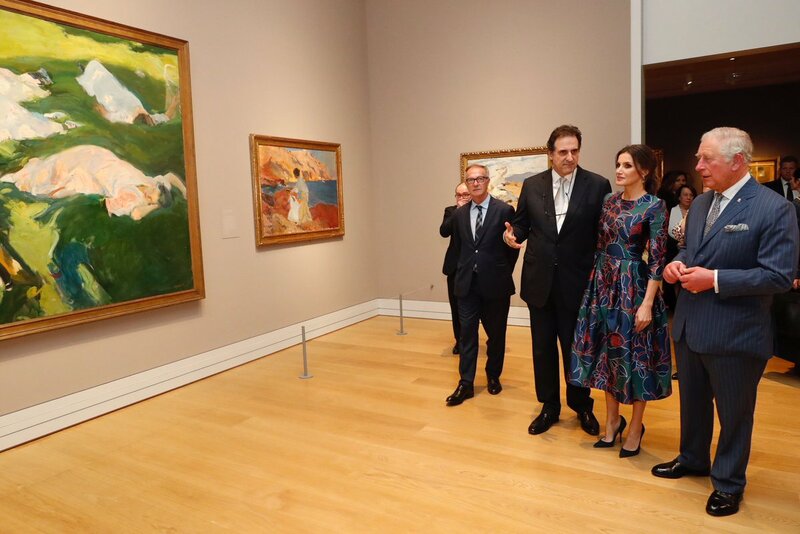 The third room shows how Sorolla saw himself as belonging to the great tradition of Spanish artists such as Velázquez and Goya, whose works he closely studied at the Prado in Madrid. In his portraits, Sorolla often adopted their distinctive palette of blacks, greys and creams. He also sought to achieve the same psychological penetration and sense of human presence for which both painters were famous. 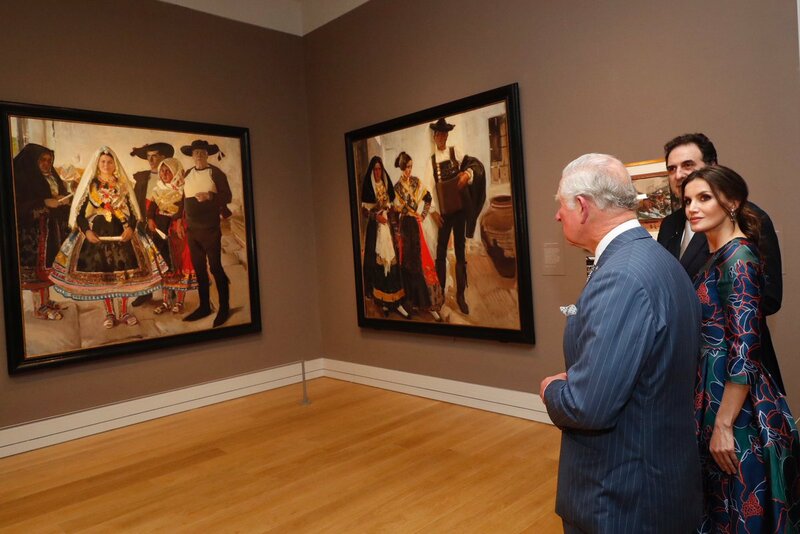 Room Five contains studies for Sorolla’s commission for the Hispanic Society of America in New York in 1911 to create a vast mural-like series of paintings entitled Vision of Spain. 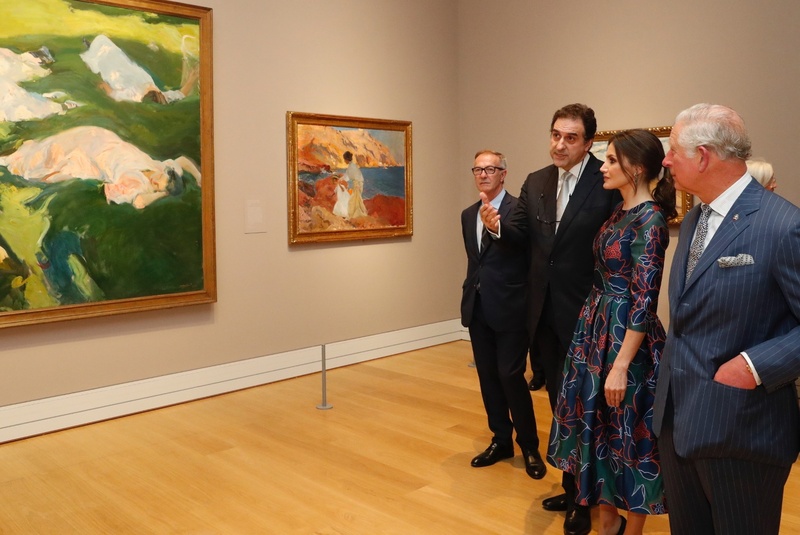 For these works, painted between 1911 and 1919, Sorolla travelled extensively through Spain, documenting the country’s regional dress, occupations, and traditions. The final room highlights Sorolla’s fascination with depicting his family in large canvases painted out of doors such as ‘Strolling along the Seashore’ (1909, Fundación Museo Sorolla, Madrid) and ‘The Siesta’ (1911, Museo Sorolla, Madrid), one of Sorolla’s most innovative paintings which, with its brilliant florescent green shades, verges on abstraction. 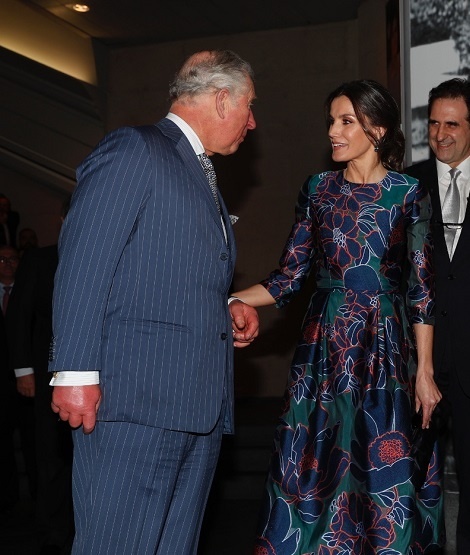 For the anticipated event, Queen Letizia chose a bespoke beautiful blue printed dress from Carolina Herrera. Huge thanks to Nuria Tiburcio for the id. 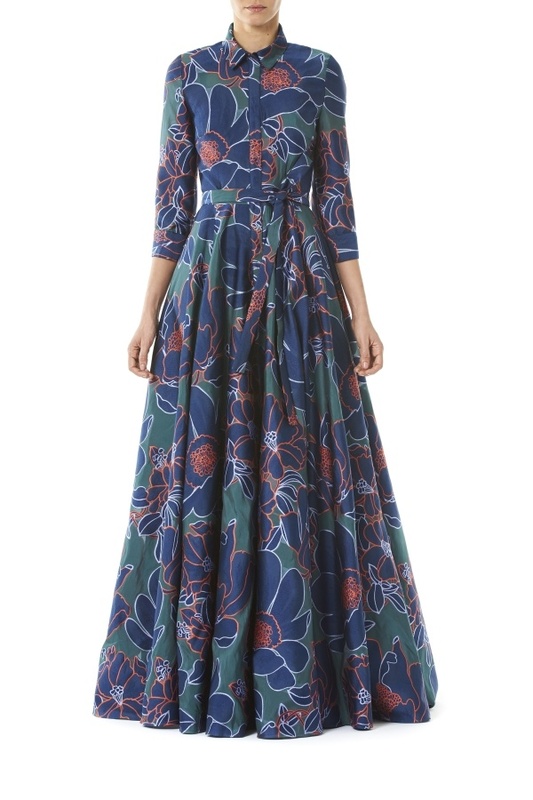 The floral print dress has a round neckline, three quarter sleeves with fit and flare silhouette. 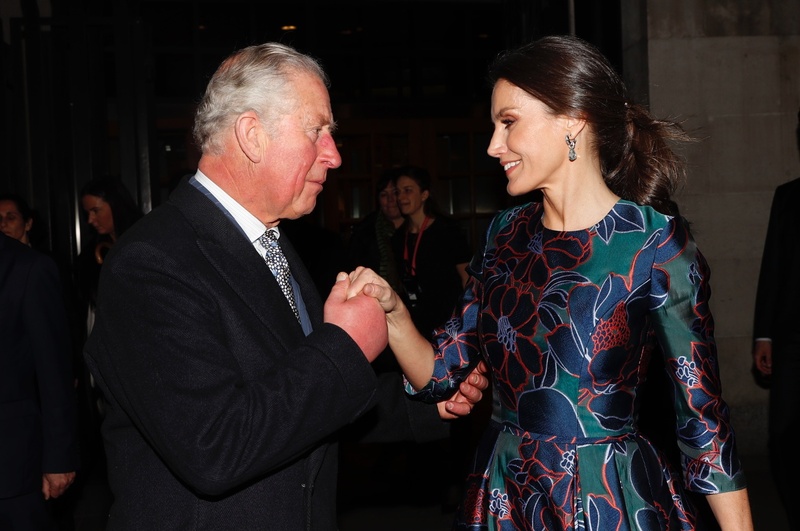 Queen Letizia Style Blog on Twitter noted that the print featured in label’s Pre-Fall 2019 collection. 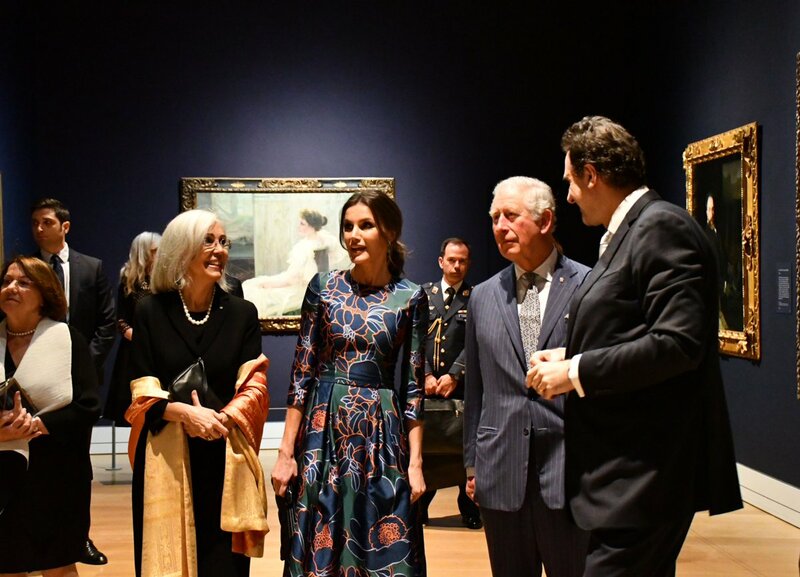 Nuria sent this blue gown to me, on which Letizia’s dress was based. Here a look at the similar dress featured in collection. 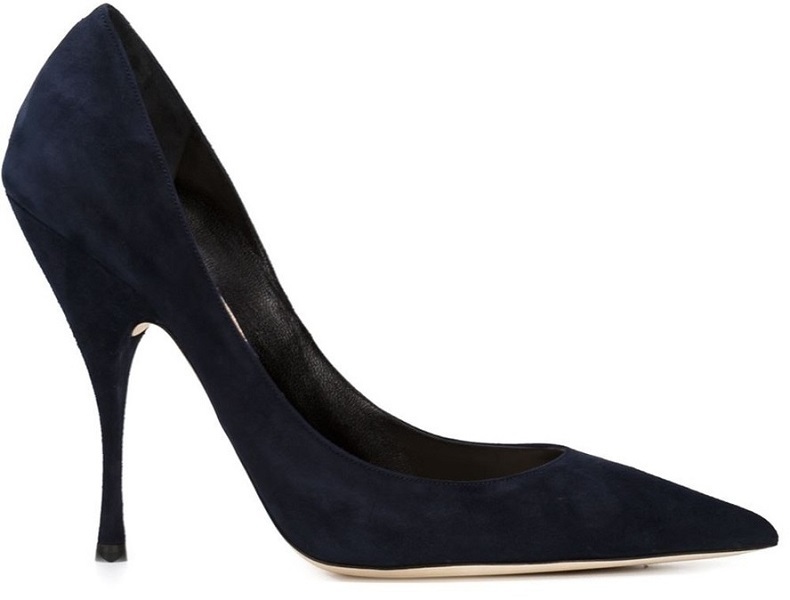 Queen paired the look with her Nina Ricci suede pumps. She was carrying blue satin pleated clutch bag that is believed to be from Felipe Varela and we have seen in past many times. Her aquamarine and dimaond Bvlgari earrings finished the look. 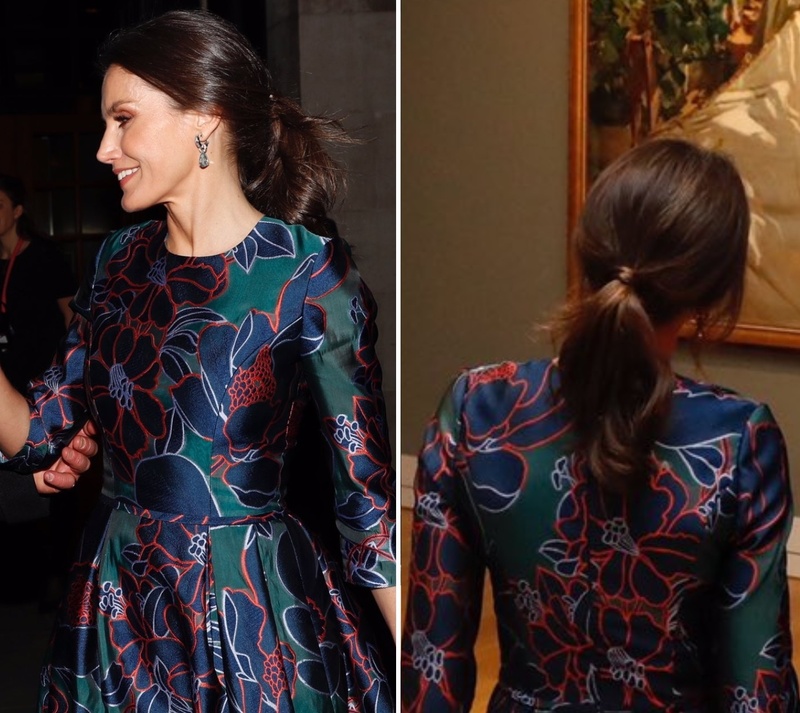 I personally loved this dress on Letizia and the visit was my favourtie also as it included a visit to Britian.